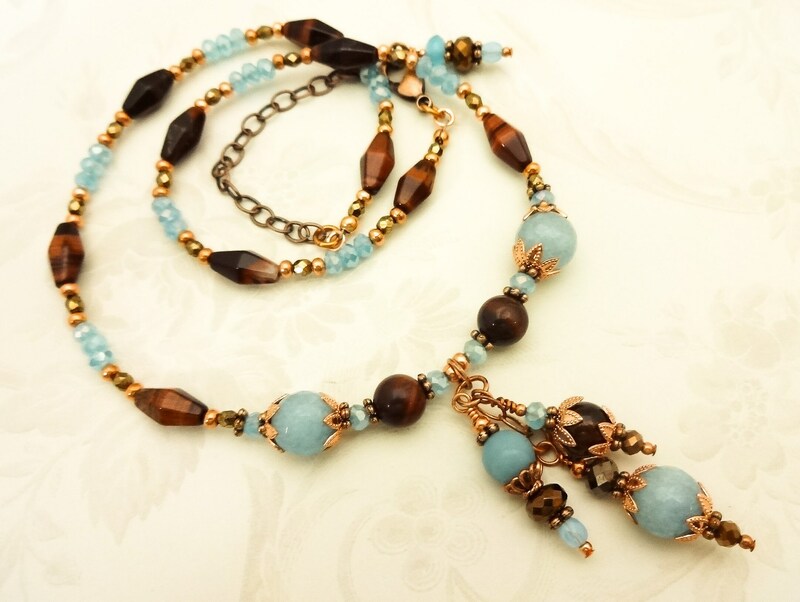 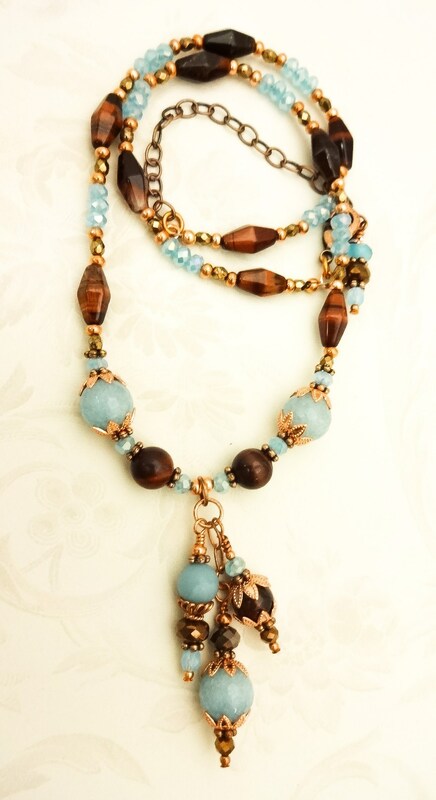 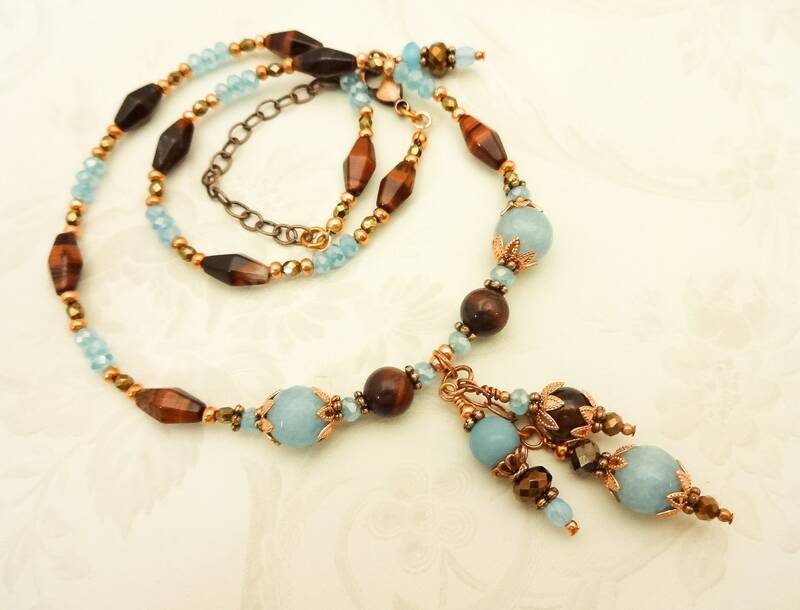 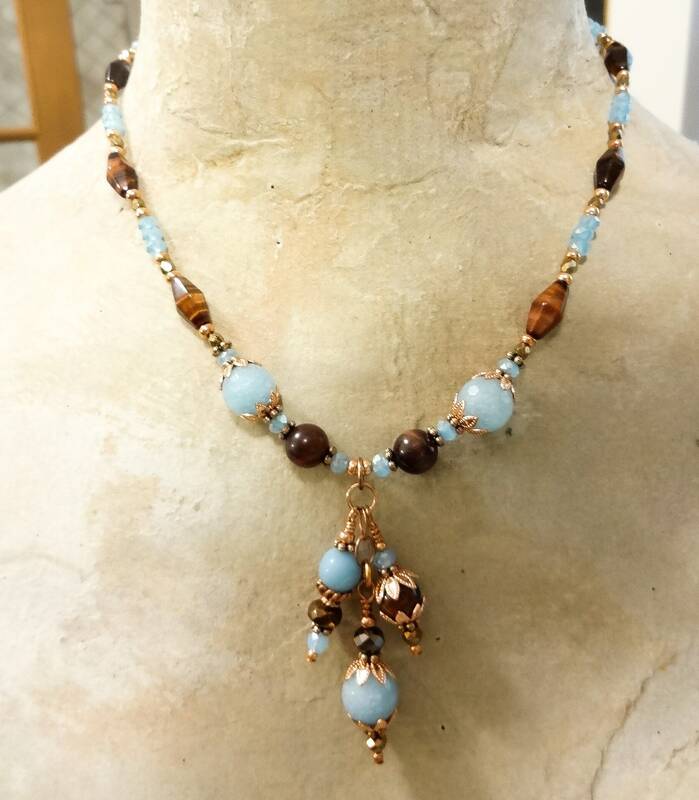 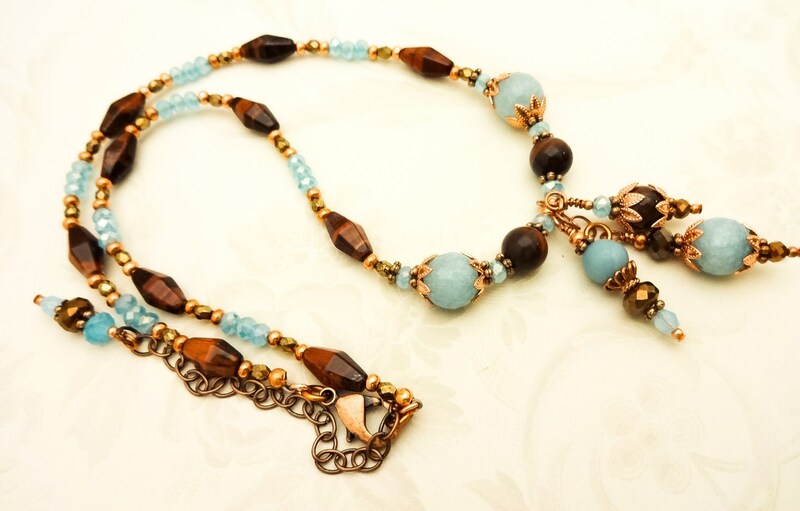 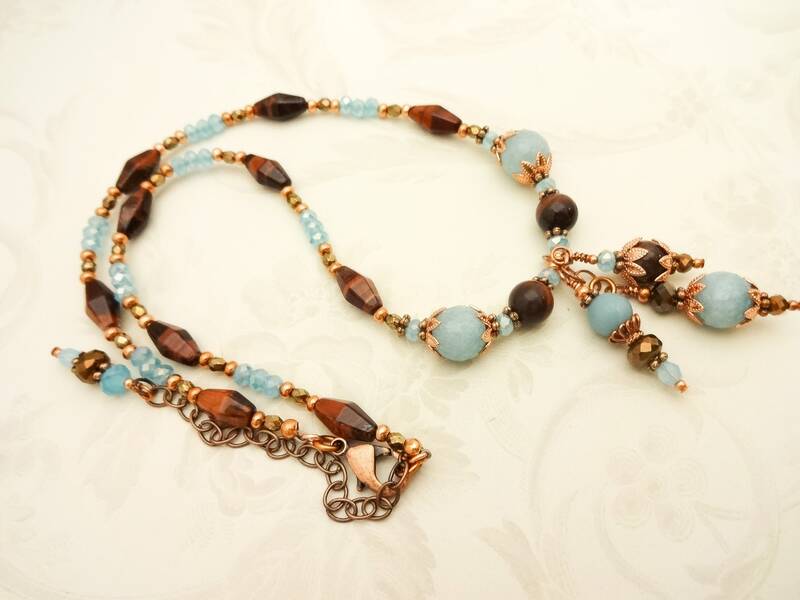 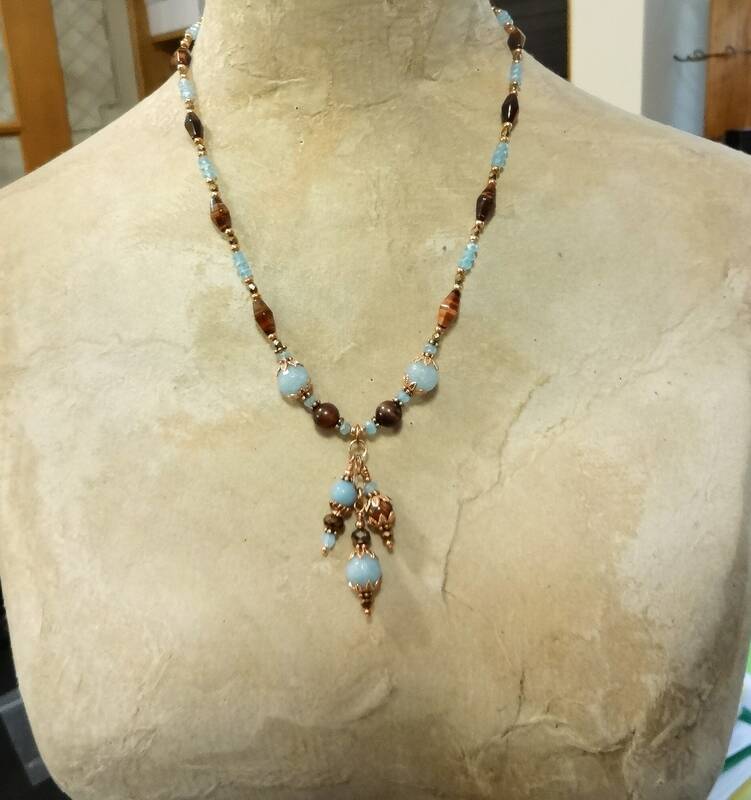 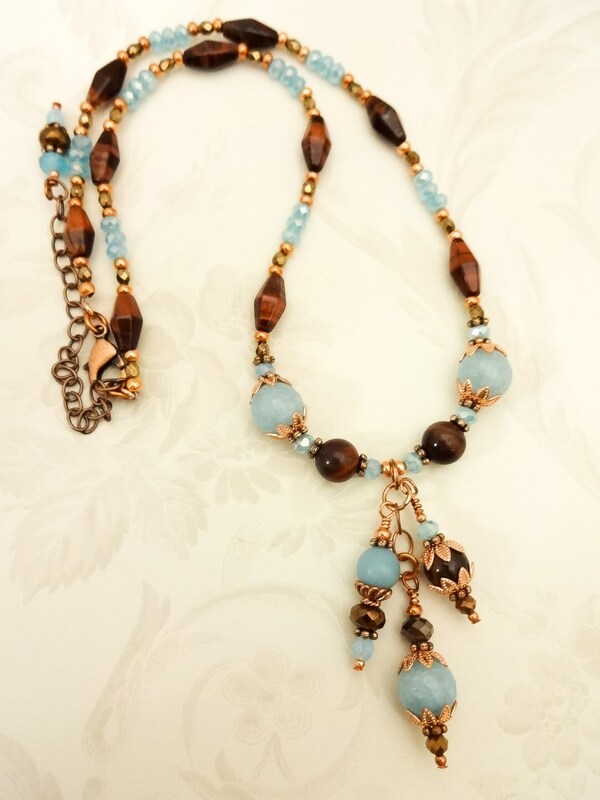 Lovely shades of blue and brown harmonize extremely well in this one of a kind necklace. 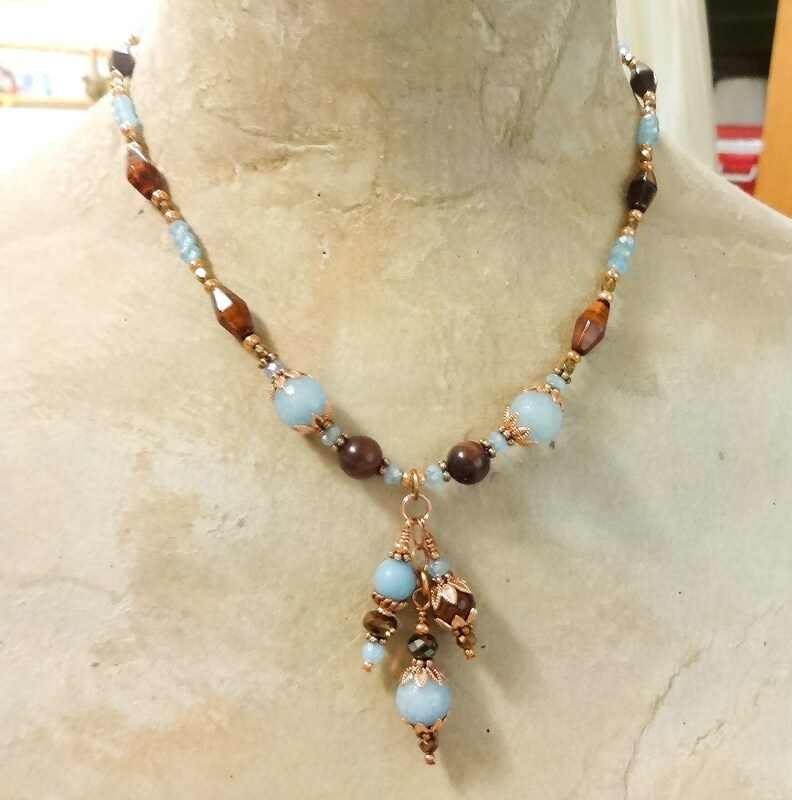 I started with Red Tiger's Eye and Angelite beads, added some sparkly faceted crystal rondelles in blue and brown, then sprinkled in some copper spacer beads, copper chain, copper bead caps, and finished off with 3 center dangles. 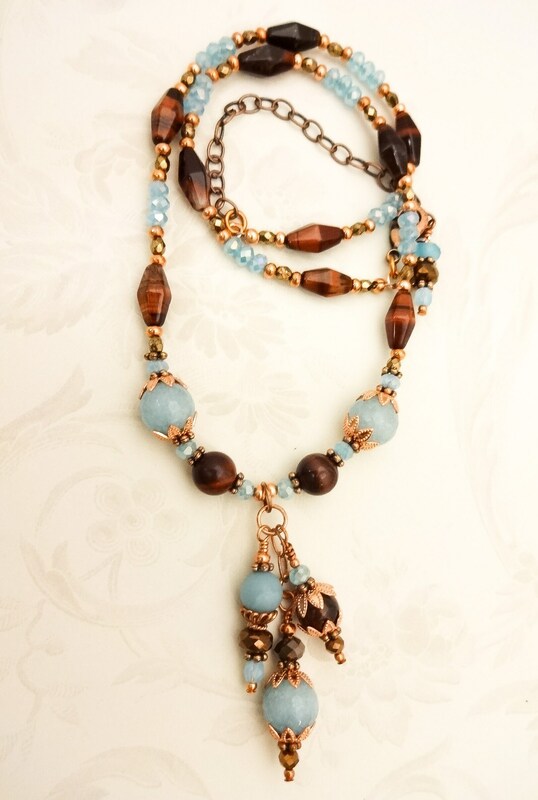 The closure is an antique copper lobster clasp that attaches to a large link copper chain making the necklace adjustable from 18 to 22 inches.